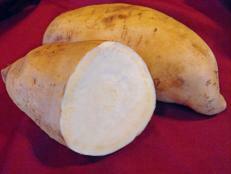 Sweet potatoes (Ipomoea batatas) are technically not potatoes at all. 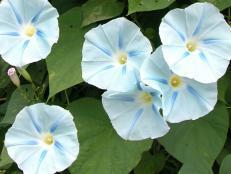 Their closest relatives are of the Morning Glory (Ipomoea tricolor) family, which becomes obvious when comparing the leaves and flowers of these family members. They are perennial, but cultivated as annuals. 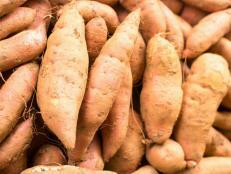 It is thought that edible sweet potatoes were first cultivated in Peru, but there are strong arguments from both the eastern and western hemisphere for the origins of this food crop. To this day, it is still a mystery that has not been unraveled. Some believe that the Polynesians that visited South America brought them on their travels. 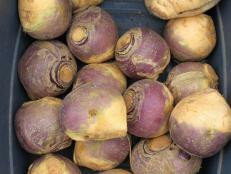 Research shows that they were cultivated in Polynesia before 1250 and reached New Zealand by the fourteenth century, then grown in Virginia by 1648. Once Christopher Columbus made it to the “New World” they were an already established food source. However, in the “Sweet Potato Current for Profit” by R.H. Price, it gives two different scenarios, one of which that Columbus brings it back from the New World to England and presents it to the Queen. The second is that sweet potatoes were mentioned in the “Chinese Encyclopedia of Agriculture” which dates back to the second or third century and mentions specific varieties. The mystery will most likely never be solved. 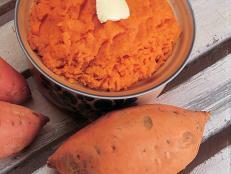 Our first president, George Washington, grew sweet potatoes on his farm in Virginia. Over 100differnt products from sweet potatoes were create by George Washington Carver, including an alternative to corn syrup. During World War I, sweet potato flour was used in baked goods as wheat flour was not available. 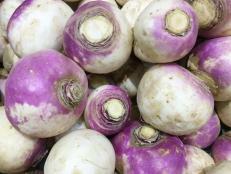 Although, we know that sweet potatoes predate the "Irish" or "white" potato (Solanumtuberosum) by nearly half a century, they are not related to this common looking vegetable. 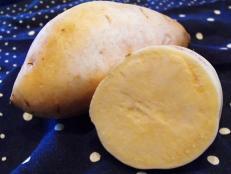 Actually, sweet potato were the common potato in the 3rd century and used more frequently like white potatoes. 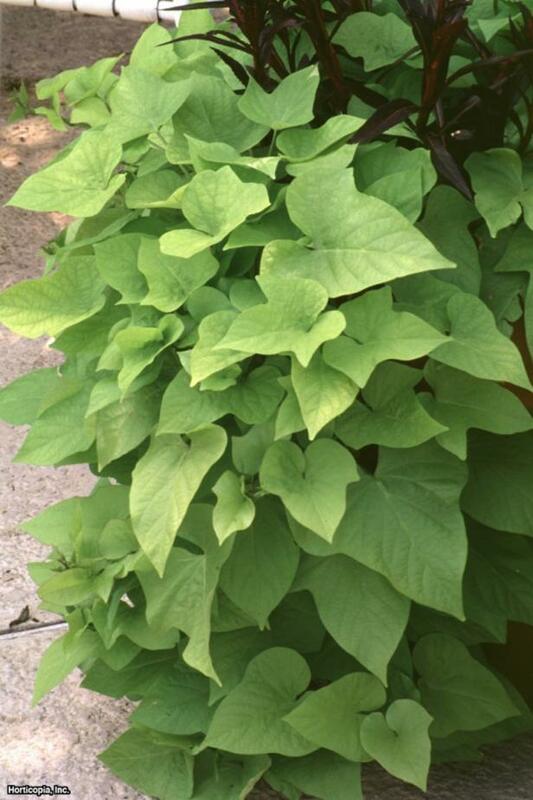 The Irish potato belongs to the nightshade family and has relatives like tomatoes, peppers, eggplants and plants like petunias. Every year, more than 130,000,000 tons of sweet potatoes are produced worldwide with China accounting for almost 90% of the production. 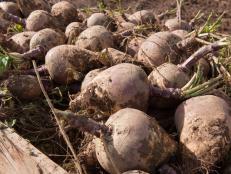 It is one of the top five food crops produced in over 50 countries. 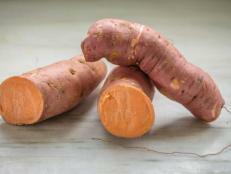 Sweet potatoes are primarily grown in tropical to subtropical regions. The top producing locations in the United States are North Carolina, followed by California, Mississippi and Louisiana. 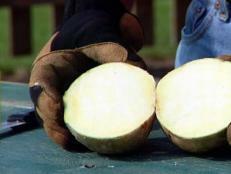 Sweet potatoes prefer a daytime temperature of 75 degrees Fahrenheit with warm nights. Since they require a long growing season, USDA zones 7 to 8 are preferable since these daily daytime and night time temperatures are common in these zones.